It looks like Apple suppliers are really gearing up to mass produce the iPhone 6 because Nowhereelse.fr has snagged some leaked pictures showing the aluminum mold that manufacturers are using for building the iPhone 6′s casing. Nowhereelse.fr then went an extra step and superimposed an image of the iPhone 5s into the picture as a point of comparison for the new device. Assuming that the new iPhone’s display will have a 4.7-inch diagonal, then Nowherelse.fr estimates based on the leaked mold that the iPhone 6′s full dimensions will be 66 millimeters wide by 138 millimeters long. For comparison, the iPhone 5s has basic dimensions of 58.6 millimeters wide by 123.8 millimeters long, so it looks like the new device won’t fit as snuggly in your pocket as earlier models. The latest intel we’ve seen on the iPhone 6 indicates that Apple is releasing two versions of the device this year, one that has a 4.7-inch display that’s set to release in the third quarter and one that has a 5.5-inch display that will release in the fourth quarter. Other recent reports about the larger iPhone 6 indicate that it will be much slimmer than current iPhones and will have much smaller side bezels so that you’ll be able to have a big screen that you’ll also be able to comfortably hold in your hand. 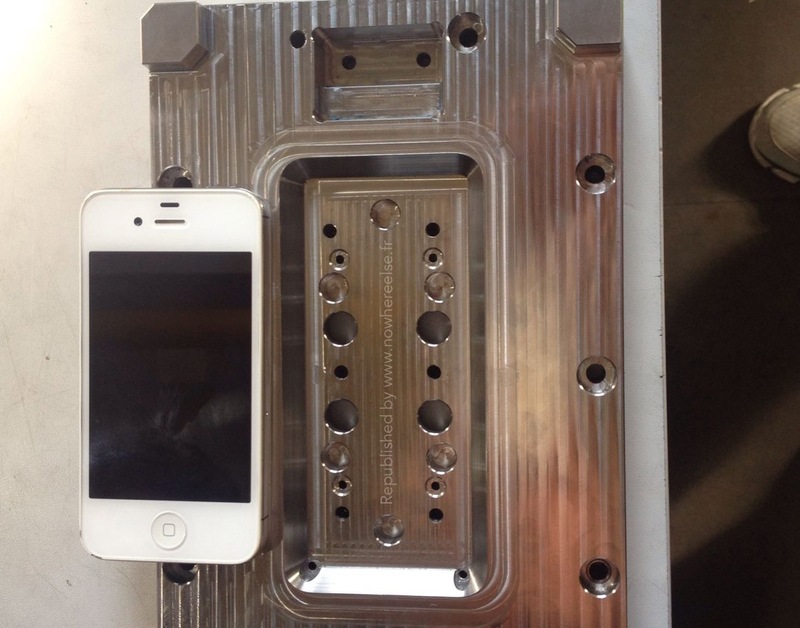 Nowhereelse.fr’s picture comparing the iPhone 5s to the iPhone 6 mold follows below.